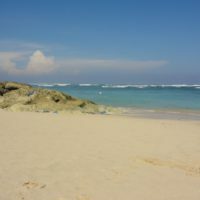 Located at the very south of the island, this wonderful beach has a road access through a limestone corridor. 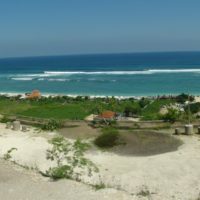 From the top you can enjoy spectacular views of the beach and Indian Ocean. 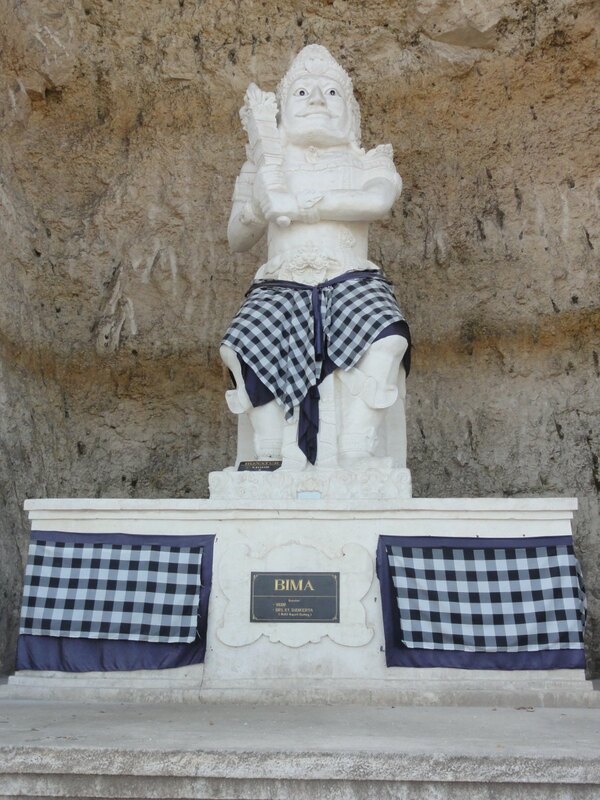 On the way down you can see deeply carved arches with statues depicting hero characters from the Mahabharata epic, known as Pandawa Lima or the five Pandawas. 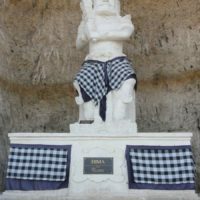 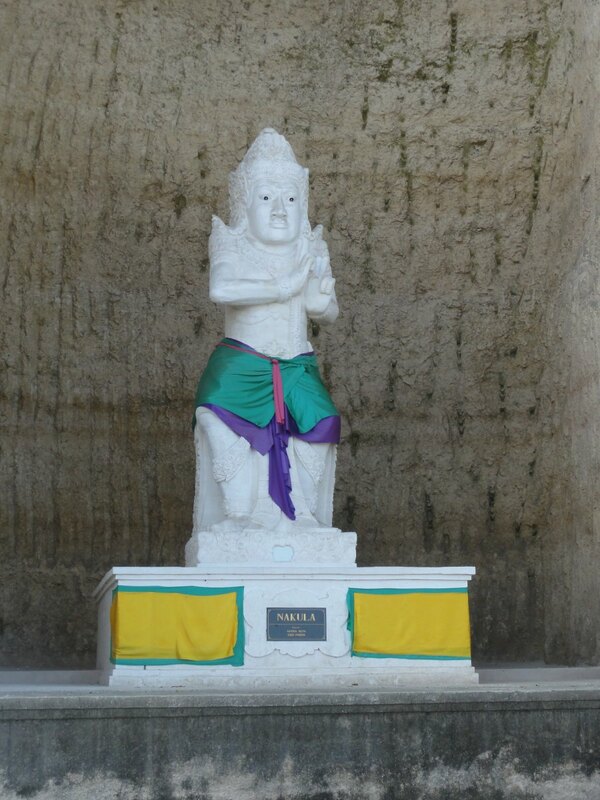 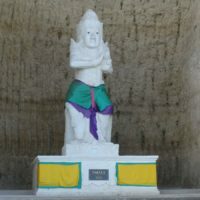 The six white stone statues are Dewi Kunti, the mother figure from the epic, and the five heroes: Dharmawangsa (also known as Yudhistira), Bima, Arjuna, Nakula and Sahadewa (more about the epic). 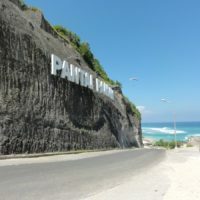 You can spend the whole day at Pantai Pandawa, thus ask Suma for a car and the driver takes you there and waits for you as long as you wish. 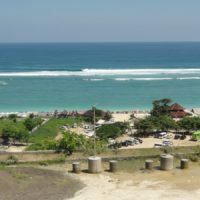 Or, what is even better, you could combine the trip with seeing the Uluwatu Temple, which is quite close and you can see also the famous Kecak Dance at the sunset. 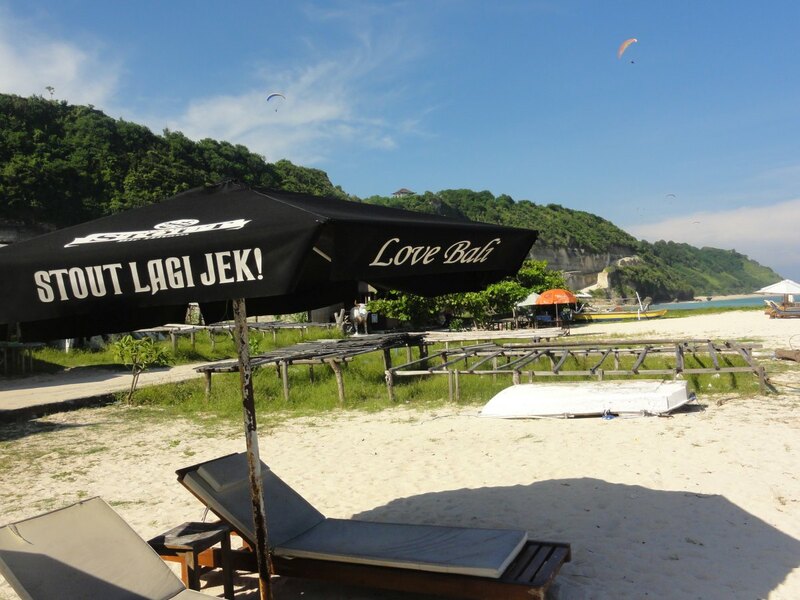 So stay on the beach for the day and at around 4.30, head towards Uluwatu Temple. 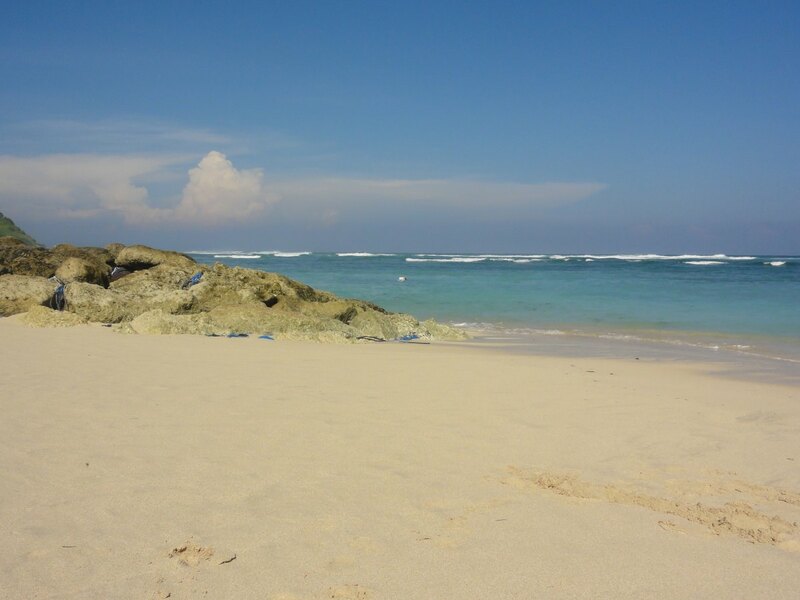 The driver will know all the places, just tell him the name and he takes you there. 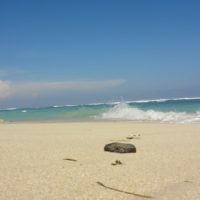 It will take you approx. 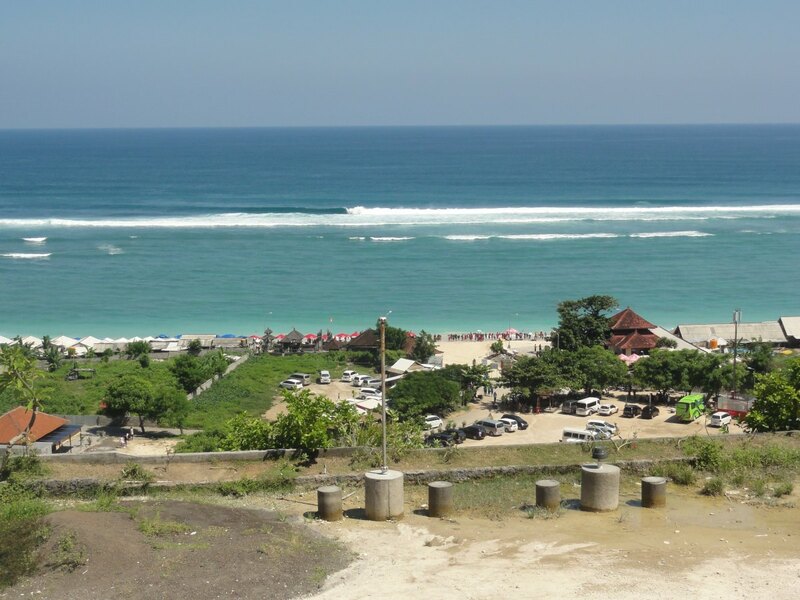 1.5 hrs to get to Pantai Pandawa and less than 30 minutes to get to Uluwatu. 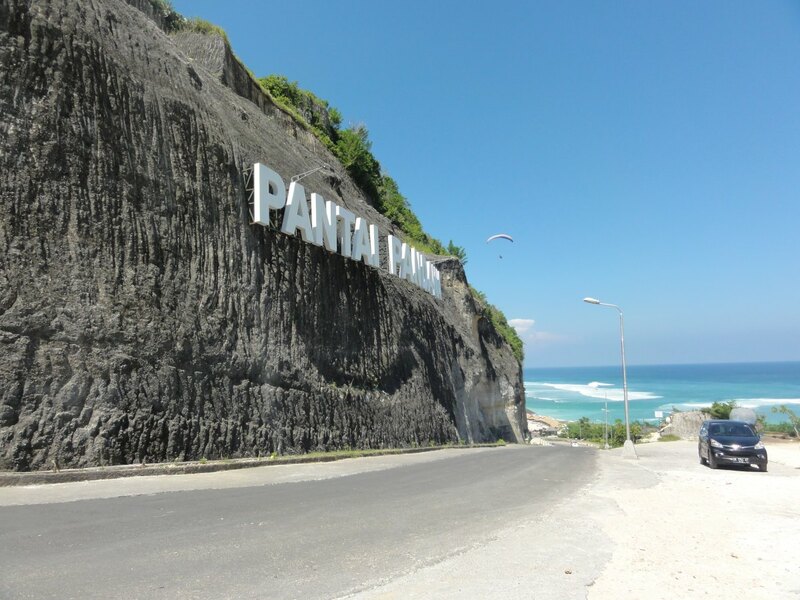 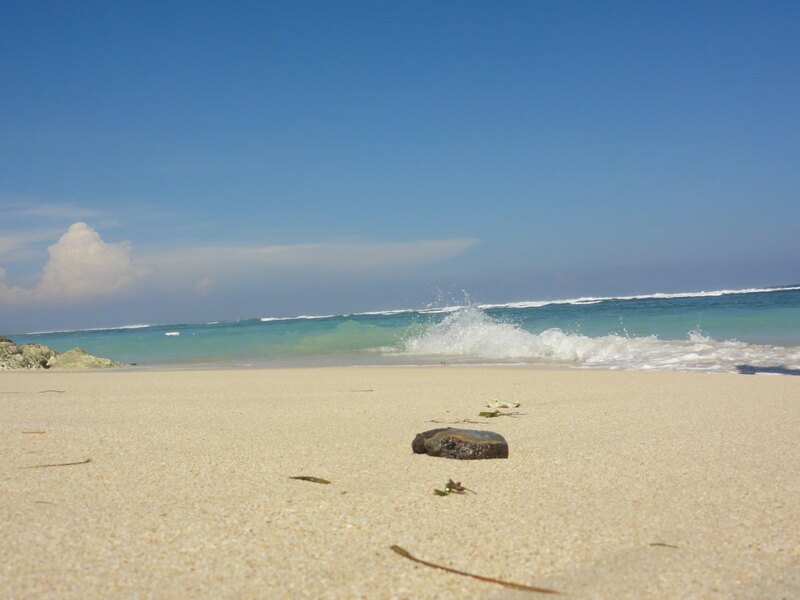 We have been to Pantai Pandawa in march 2015 and it was marvelous! 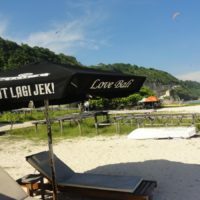 We loved the entrance to the beach, the white sand, blue ocean… Spent there only 2 hours, we want to go there for the whole day next time!